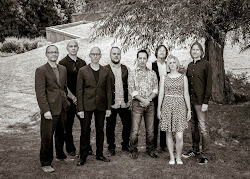 This blog post is about a song called The Transit of Venus Across the Sun which is the fifth track on Big Big Train's Folklore album. The transit has been very important in developing an understanding of the relationship between the Earth and the sun, and the transits in the 18th century caused the launch of major scientific expeditions as set out in a wonderful book called Chasing Venus. 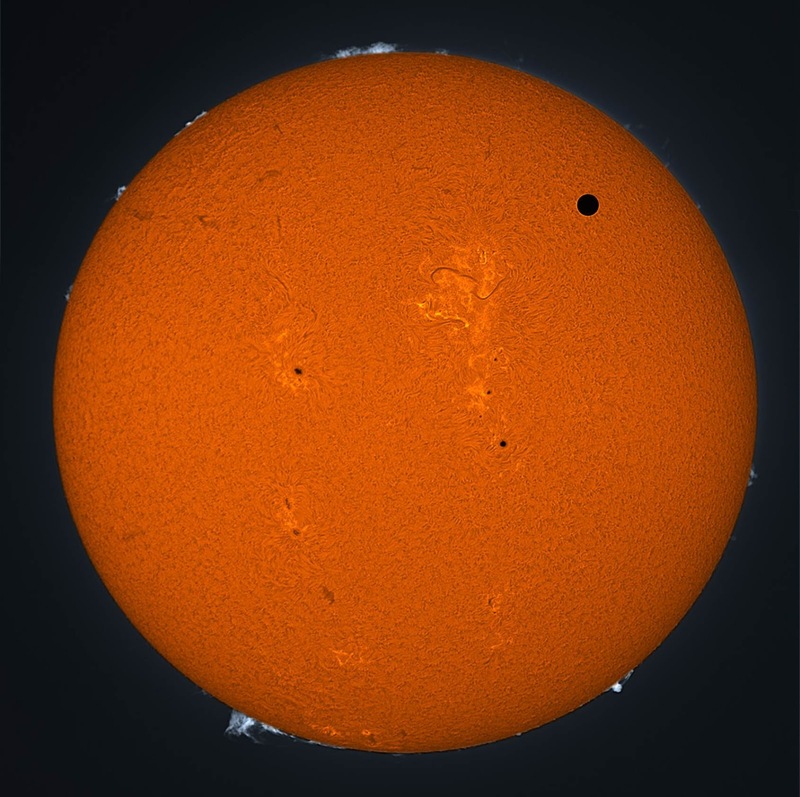 I first came across the transit when watching The Sky at Night in 2004. People from Britain will be very well aware of this television series which has been running on BBC TV since 1957. For most of its time, the Sky at Night was presented by an extraordinary chap called Sir Patrick Moore. Sir Patrick was an eccentric man, a very talented astronomer and musician and a gifted communicator. The BBC broadcast a programme on the 2004 transit live from Sir Patrick’s house which was called Farthings. An excerpt from the programme can be seen here (this may only be viewable in the UK.) The programme features the astrophysicist and guitarist Brian May who was a close friend of Sir Patrick. My original thoughts when starting to write the song called The Transit of Venus Across the Sun was to make the song about the 18th century scientific expeditions. However, my mind kept coming back to the life of Sir Patrick Moore and so I changed course and decided to write about him. Sir Patrick had a fascinating life and there were many stories that would have been worth telling in song. In the end, The Transit of Venus became almost a love song. Sir Patrick had only one love affair in his life, a woman called Lorna who was killed in the Second World War. Sir Patrick stated that he thought of Lorna every day, even in later life and that he could love nobody else. In the song, the transit becomes a metaphor for Lorna’s brief life, with Sir Patrick later setting a course for the stars and reaching out for far things. In the 2004 programme, Sir Patrick can be heard saying that this is the only time he will see the transit. In the end, Sir Patrick lived just long enough to see the second transit of the 21st century pair in 2012. There is an interesting article here on the glimpse that Sir Patrick had of the 2012 transit. When we were recording the song, David had an idea which led to a mention of somebody who was related to a character from another BBT song. We enjoy finding and following the connections between the stories we tell in our songs. Oh, how fascinating! It's so interesting to follow how you come up with themes, let go of some of them or let them change into something both different from and related to the original theme... Thanks for sharing this with us, Greg! Completely agree with you Tobbe. Getting an insight to the stories behind these songs is inspired. The band should patent it, if they haven't already. Thanks you Greg and David, for taking the time to write these blogs. They are fascinating and whet my appetite even more for Folklore. Very much appreciated. The 1761 transit was observed by, among others, Charles Mason and Jereniah Dixon, who already have an excellent song (The title track of Mark Knopfler's album Sailing to Philadelphia) so I am really pleased that you have decided to take a different angle (also, I met Sir Patrick Moore twice, in about 1974 and 1984, but he only played Penguins on Parade on the xylophone on the second occasion). This is currently my favourite track on Folklore (although this has changed three times in two days), but I hadn't picked up the connection with Sir Patrick until I visited this blog. I recall as a boy of 11 or 12 I used to write to him about my own, simple stellar observations made through my handmade telescope. Every single time he would reply to me on his ancient typewriter and address the envelope with his own hand. Imagine how many other young lads he encouraged in this way. A truly remarkable man indeed. And of course his memory will now live on in a wonderful song. I love this track. What is the language at 4:10 and what is it saying? We'll be posting some further info about the album in a PDF in the next few weeks and will set out those words in the PDF. Oh, splendid! Thank you, Greg! Greg, could you please give a URL for that PDF? (If that's not too many TLAs...) Thanks!